I hope you find great value in these Quotes about Curiosity from my large collection of inspirational quotes and motivational sayings. The most important promises are the ones you make to yourself. The important thing is not to stop questioning. Curiosity has its own reason for existing. and curiosity keeps leading us down new paths. of the limitless and the boundaries of the timeless. to the end which is not an end. that gift should be curiosity. Never lose a holy curiosity. of young minds for the purpose of satisfying it afterwards. The greatest virtue of man is perhaps curiosity. It is a miracle that curiosity survives formal education. The scientist is motivated primarily by curiosity and a desire for truth. Few people know how to take a walk. good silence and nothing too much. Curiosity killed the cat, but for a while I was a suspect. a passion for new ideas. because we follow our curiosity like cats. Oprah has this intense curiosity that I haven't found with any interviewer. struggle to unravel the workings of the natural world. Life must be lived and curiosity kept alive. of staying young or youthful. Being hurt personally triggered a curiosity about how such beliefs are formed. between the physical sciences and the social sciences. the desire may never return, and you may remain in ignorance. soon takes on the appearance of the Old Curiosity Shop. No one ever puts one down without the feeling of disappointment. a free mind, belief in good taste, and belief in the human race. the only thing a healthy curiosity can kill is ignorance. Curiosity is one of the great secrets of happiness. the clarity and ruthlessness of their vision. of facts far more than the pausing at times to reflect on those facts. with curiosity and interest and determination to get behind the image. My own curiosity and interest are insatiable. The young generation has a different curiosity that is more visual. but rather for understanding and to satisfy my eager curiosity. Curiosity begins as an act of tearing to pieces or analysis. it is a source of not only a great curiosity but great fulfillment. Curiosity doesn't matter any more. territories where they don't know how to react. will often be stung for his curiosity. on television backs itself up. as attention is of memory. that has been my religion. I have an inate curiosity about people. Basically, I have been compelled by curiosity. I write as a way of keeping myself going. You build your life around writing, and it's what gets you through. So it's partly just curiosity to see what you can do. I would have thought he would be there out of just plain curiosity. It was incredible that he was missing. I read The Old Curiosity Shop before I began Blackwood Farm. I was amazed at the utter madness in that book. I have a certain curiosity for life that drives me and propels me forward. People die when curiosity goes. What we want to tell, we wish our friend to have curiosity to hear. Love is three quarters curiosity. that it may be a very rare and indispensable thing. important contributions education can make. it was not before possessed. and my flesh begins crawling with suspense. coming into this world and what will follow our departure. Curiosity is the wick in the candle of learning. the first passion and the last. 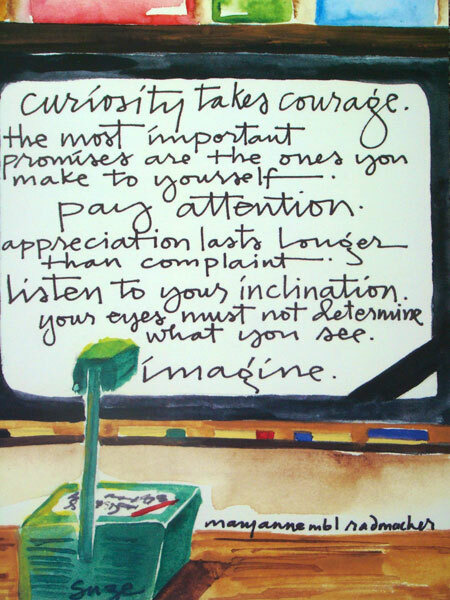 Thank you for visiting: Curiosity Quotes.